New Automobilista Series starting July 16! 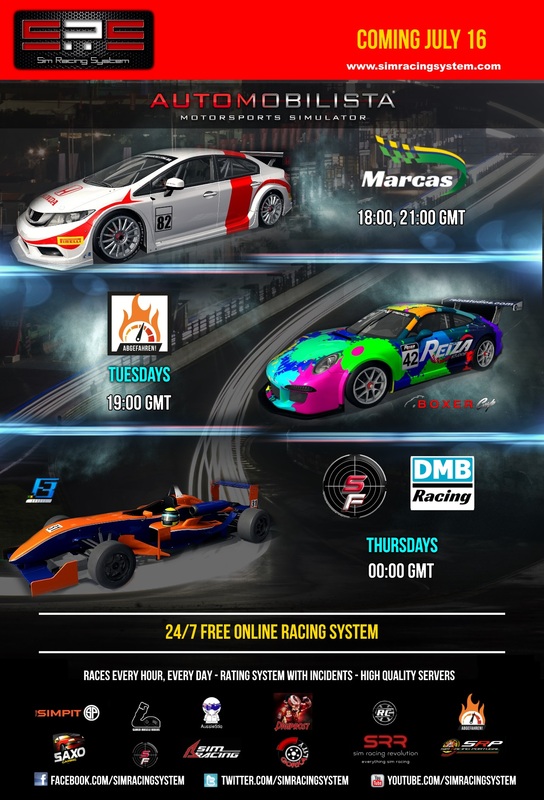 Sim Racing System Sim Racing System News New Automobilista Series starting July 16! We are delighted to announce the new series for Automobilista, starting July 16th! Thank you can't wait to do some racing! SRS never fails to impress me. Thank you very much for bringing AMS back, hopefully it'll get the interest as it deserves. Ohh yeah, AMS is BACK on SRS!. What will be of the two? F309 or F301 for F3 series? (07-15-2018, 11:16 PM)Juan Reinoso Wrote: What will be of the two? F309 or F301 for F3 series? The Marcas series have fixed setup ? What settings can be changed ?